Description This Bremen, Georgia hotel has an outdoor pool, free internet access and non-smoking guest rooms. This hotel is also pet friendly. 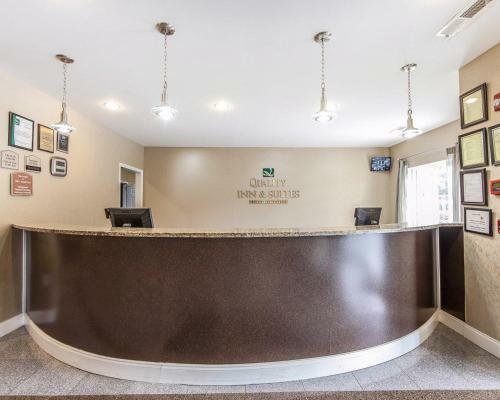 Free hot breakfast free Wi-Fi well-equipped rooms and an outdoor pool await at the Quality Inn and Suites. Palm trees adorn the front of this two-story hotel with 76 rooms each with free Wi-Fi a flat-panel TV with cable refrigerator microwave coffeemaker and bed with pillowtop mattress. Non-smoking rooms are available and pets are allowed for a fee. The hotel has a free hot breakfast everyday. Relax at the seasonal outdoor pool at the end of the day or enjoy the on-site fitness room. 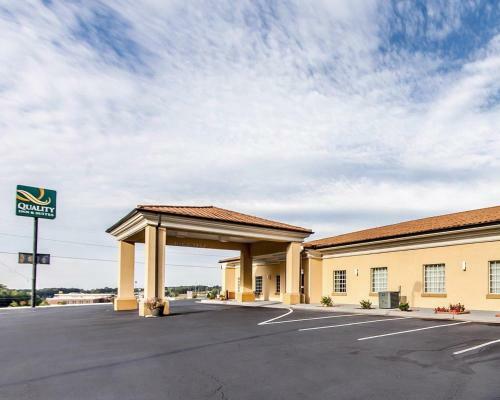 The hotel is located just off I-20 near U.S. 27 10 miles from the University of West Georgia and the quaint downtown of Carrollton. Fast food restaurants and a Walmart are within a five-minute drive. Arbor Place Mall in Douglasville is 25 miles away. Guests can hit the links at Lion Golf Club two miles away; hiking and a sand beach on a fishing lake are about seven miles away at John Tanner State Park. Hartsfield-Jackson Atlanta International Airport is 52 miles away. 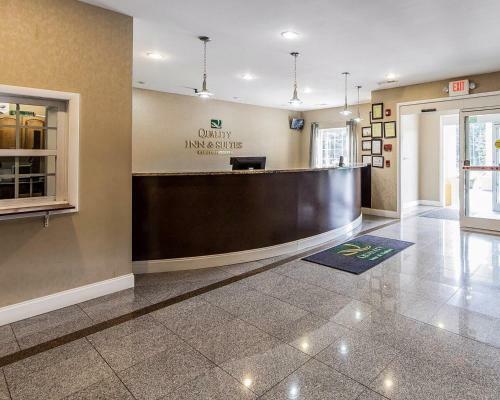 Add Quality Inn & Suites Bremen to your free online travel itinerary.